Two of the most iconic brands in adventure - Hot Wheels and Star Wars - have formed an alliance! 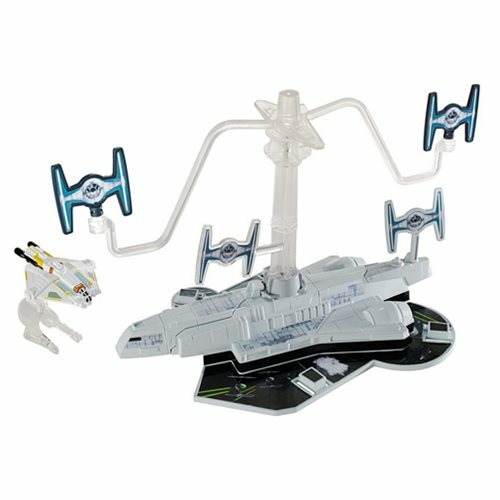 It's up to you to defeat the diabolical Imperial Forces with this Rebels Transport Attack play set. Use the Flight Navigator to pilot the Ghost starship toward the spinning TIE Fighter. Defeat all the TIE Fighters and the Imperial Transport will explode! Kids will love playing out their favorite storylines from Star Wars Rebels and creating their own ways to play.